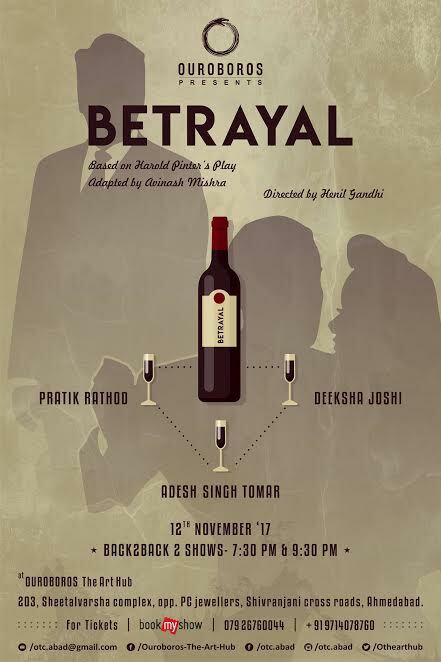 The play is an adapted contemporary version of Nobel Prize Winner In Literature, Harold Pinter\’s masterpiece- BETRAYAL. One-time lovers Rohan and Sameeksha meet in a Delhi pub for the first time since their breakup. Sameeksha informs Rohan that she\’s confessed to her husband, Tarun about their affair. From there, in reverse chronology, they ruminate on the highs and lows of their tumultuous seven-year relationship, from their first meeting, from the eventual chilling of their romance to their betrayal of Tarun, Rohans best friend.